Please note that Custom PC Review and its content contributors absolutely do NOT condone the download of copyrighted content which may appear on some of these Torrent sites. Please refer to the disclaimer section at the bottom of this article for more information. Before using the websites below, ensure that you have a strong VPN service without any IP leak issues. As many of these Torrent sites operate in a legal grey area linking to Torrents containing copyrighted content, using Torrent sites without a VPN may expose you to unnecessary risks, especially when there are many excellent free VPN service providers available. The Pirate Bay is one of the oldest, most well known, and still one of the best Torrent sites around. Known as the biggest Torrent site on the planet and one that probably will never die, the website has gone through numerous failed shutdown attempts including the site’s founders going to jail and the servers being seized on several occasions. 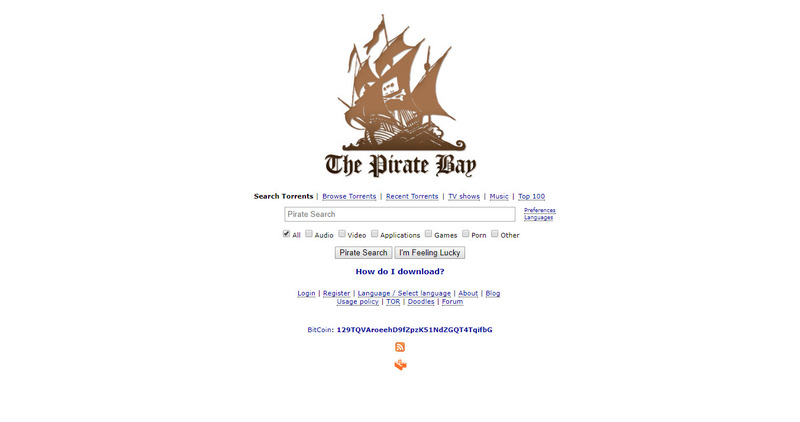 However, The Pirate Bay is still alive and well and now even has their old piratebay.org domain name back. If you’re looking for the best Torrent site and don’t know about The Pirate Bay, you should definitely take a moment to familiarize yourself. 1337x.to appeared several years ago and quickly rose to become one of the most popular Torrent websites thanks to its high quality, well seeded Torrents, wide variety of Torrents, large community, frequent updates, and the website’s rich user interface. LimeTorrents is one of the major Torrent sites and just like The Pirate Bay and 1337x.to, hosts Torrents to pretty much anything you’re looking for. As with any of the other top Torrent sites, LimeTorrents is updated very regularly and some of the top Torrents can have as many as 20,000 seeders demonstrating the sheer popularity of the site. In the unlikely event you don’t find what you’re looking for on the other top Torrent sites, TorrentDownloads is yet another option with lots of Torrents, a massive community of seeders, and regular updates. Kickass Torrents, or KAT, was one of the biggest and most popular Torrent websites until it was shut down and the owners were arrested by law enforcement in the middle of 2016 alleging that the site committed was committing copyright infringement. While the original site is still dead, mirrors of Kickass Torrents quickly popped up online after news broke of the site’s shutdown and continues to be operational to this day. Like other popular Torrent sites, Kickass Torrents hosts a variety of content both legal and illegal. Rather than being a Torrent site hosting Torrents, TorrentProject is actually a Torrent search engine which indexes and tracks Torrents from over 300 different Torrent websites. As a Torrent search engine, TorrentProject doesn’t discriminate between the high quality and low quality Torrents which isn’t ideal, but with an index of over 10 million Torrents, if you can’t find something anywhere else, you’ll likely find it on TorrentProject. This article is provided for informational purposes only. Custom PC Review and its writers absolutely do not condone the use of Torrents for the transfer of copyrighted content that may exist alongside legal content shared under Creative Commons and Open Source licenses. By using any of the sites listed above, you agree that you will not hold Custom PC Review liable for any legal action taken against you.